The groundbreaking vegan documentary The End Of Meat is now available to own and stream worldwide. 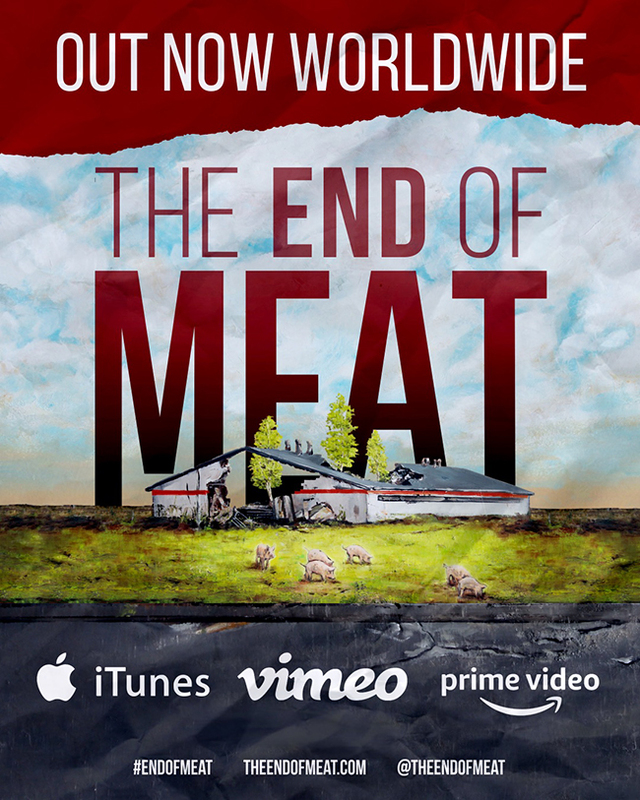 A groundbreaking vegan documentary from German filmmaker Marc Pierschel, The End Of Meat, is now available to own and stream online following sold-out premieres in Berlin, New York, L.A. and Toronto. In The End Of Meat, Pierschel sets out to discover what effect a post-meat world would have on the environment, the animals and ourselves. He meets internet phenomenon Esther the Wonder Pig; talks to pioneers leading the vegan movement in Germany; visits the first fully vegetarian city in India; witnesses rescued farm animals enjoying their newfound freedom; observes the future food innovators making meat and cheese without the animals, even harvesting “bacon” from the ocean. The End Of Meat reveals the hidden impact of meat consumption; explores the opportunities and benefits of a shift to a more compassionate diet, and raises critical questions about the future role of animals in our society. The documentary is available to stream worldwide on iTunes, Amazon, Vimeo and other streaming and VOD platforms as well as being available to purchase on DVD, Blu-ray and digital download.